Welcome back! For those of you who are first time readers, this is a series dedicated to covering the different aspects related to building your own computer. This week I will be going over CPUs, and discussing what you should have in mind when choosing which to get. The first aspect you should take into account when choosing any part or upgrade is budget. How much are you willing to spend on this part? Now, don’t get carried away here. If you’ve browsed around a parts site, you have probably seen CPUs upwards of $1,000. Keep in mind though, that the performance that you see in cheaper processors does not scale to those higher prices (meaning that a $1,000 processor is not 10x faster than a $100 processor). 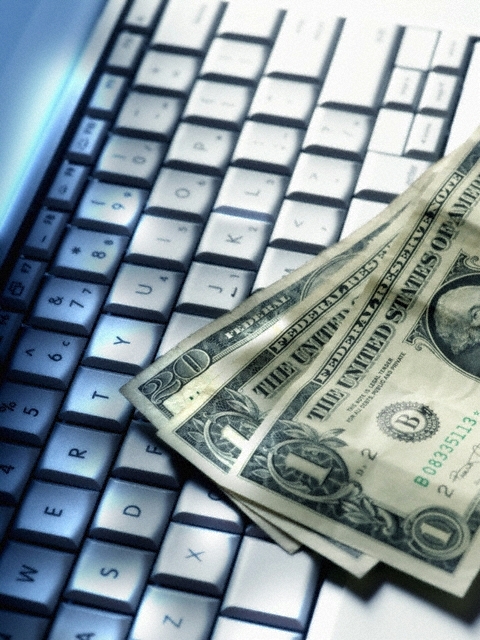 When setting this budget, you should be thinking about your processing power needs. You can determine this by looking at what type of applications your computer will be running. 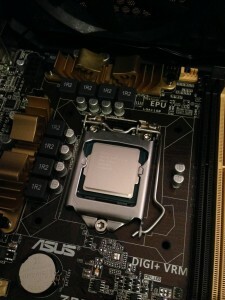 For example, if you are building a computer for primarily rendering and media editing, you should look for a CPU with a high number of cores, as those processes can utilize a higher number of cores than other processes. On the other hand, if you are building your computer for more general usage or for gaming, you don’t need a CPU with a large number of cores. Instead, you should look at quad-core processors with the highest clock speed that you can fit in your budget. As always though, you should do your research about any processor that you might be interested in, and try to figure out how it performs in the different applications that you are interested in running. Once you have a budget in mind, and you understand your performance needs, you can start looking around at different models and performance specifications. If you have looked around at any computer-enthusiast forums, you may have seen flame-wars between different users about which brand is better – Intel or AMD. To be honest, both have their benefits, and both have their downsides. Intel has higher performing CPUs, but at a higher price point, and AMD has cheaper CPUs, with lesser performance, but their price to performance ratio is much better than Intel. For most purposes, like everyday usage and standard gaming computers, you will not need more than a quad-core processor, and if you purchase anything higher, you will likely not see any performance increase at all. However, if you are planning on doing some serious editing, or you know that you will be running applications that can utilize a lot of CPU power, you would be better off getting greater than a quad core processor. That brings up a good side note: hyperthreading. 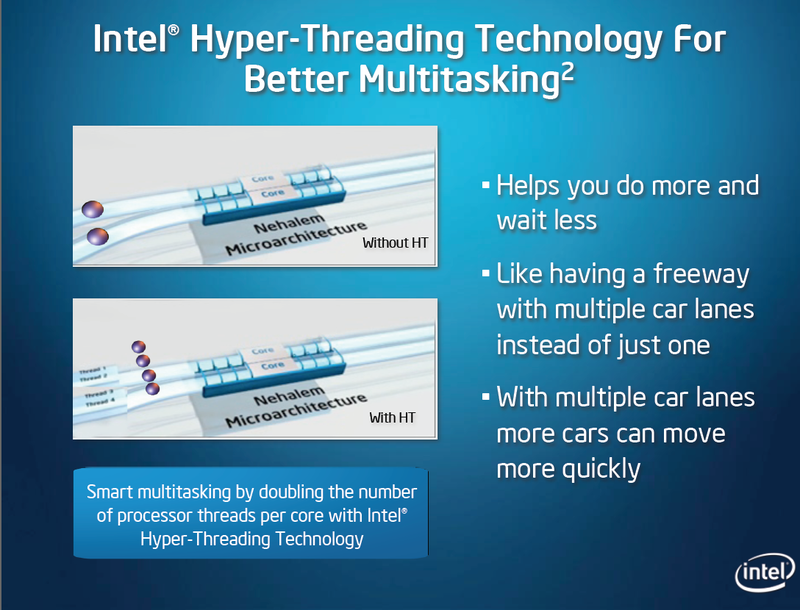 You may have seen some Intel CPUs offer a spec called “hyperthreading” on some of their CPUs. This feature effectively doubles the amount of logical cores that your processor has while still having the same amount of physical cores. What that means is that if you have a quad-core hyperthreaded CPU, you would effectively have an 8-core processor. A diagram from Intel showing, on a basic level, how hyperthreading technology works. AMD doesn’t offer hyperthreading in their CPUs, but they do offer 6- and 8-core processors as relatively standard, whereas Intel really only offers dual-core hyperthreaded CPUs and quad core CPUs as mainsteam chips. So if you are looking for more cores while on a budget, your best bet would be to get and AMD CPU. You’ll have seen many different CPUs within either brand that you are looking at. All of them are differentiated by product numbers, which can get rather confusing. An example of an Intel processor that you might see would be the Core i5-4670K. 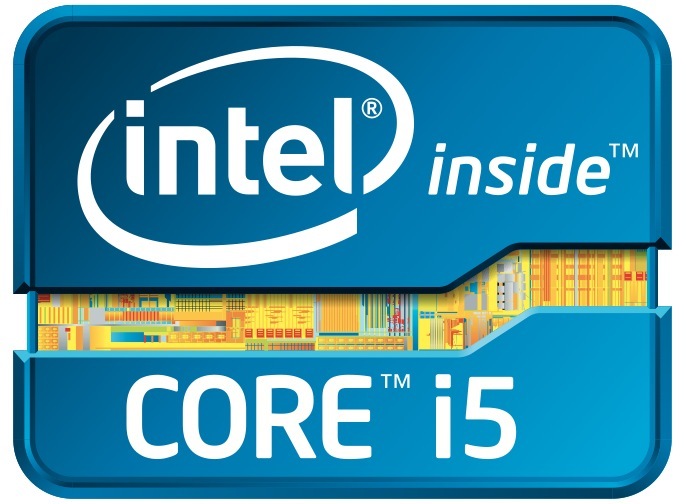 Core i5-4670K – The first set of words designates the product line that this processor is in. Intel’s hierarchy of product lines is as follows: Celeron<Pentium<Core i3<Core i5<Core i7. There are also Intel Xeon processors, which are optimized for server settings, which I won’t cover in this series, so don’t worry about those. 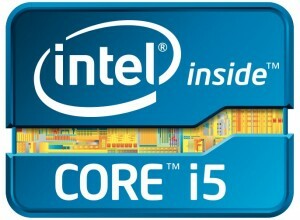 Core i5–4670K – The first number after the product line designates what generation the processor is from. In this case, the 4670K is part of Intel’s 4th generation, code named “Haswell”. Note that the first generation Intel CPUs left off the first number instead of having a 1. So if you see a processor like the Intel Core i7 970, you can know that it is part of the first generation of Intel CPUs. 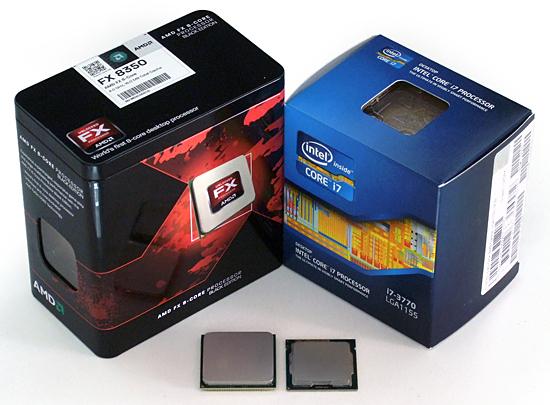 Core i5-4670K – These are the model numbers. They don’t really tell you too much about the processor itself, but can be useful when comparing two different processors. If you compare two Intel CPUs within the same generation, and one has a higher set of those 3 numbers, you can assume that it has greater specs (such as higher clock speed, higher cache, etc.). Core i5-4670K – The ‘K’ suffix means that the processor has an unlocked multiplier. What this means is that it is very easy to overclock the CPU. If you have no interest in overclocking, then you should not worry about getting an unlocked processor, and stick to processors without the suffix, as they usually run a bit cheaper. There are several other suffixes that you may see, most of which are only applicable to mobile processors. One that you might see attached to very high end processors is the ‘X’ suffix. This means that the processor is part of the Intel Extreme Series, and is one of their best processors available. That is all that I can really cover regarding Intel desktop CPU naming, but if you are interested in learning a bit more, Intel has written up a handy guide for understanding what it all means, here: Learn About Intel Processor Numbers . AMD has a much easier naming scheme. Take, for example, the FX-8350. FX-8350 – Just like Intel’s naming, the first string before the numbers is the product line. You may see some other product lines within AMD’s line such as the Athlon or the Phenom. These are similar to the Intel product tiers. Essentially, the AMD hierarchy is as follows: Athlon<Phenom<FX. FX-8350 – For AMD CPUs, the first number after the product line is always the number of cores. You can therefore know that the FX-8350 has 8 cores, just from the product name. FX-8350 – The second number is always going to be the generation. In this case, the FX-8350 is part of the third generation of AMD CPUs. Similar to how the first number in an Intel processor’s product number is the generation, so is the second in an AMD CPU. FX-8350 – The last two numbers are the model number. Like in Intel CPUs discussed earlier, you can use this to compare processors within the same generation and product line, to determine which has better specs. Unlike video cards, it is pretty easy to compare CPUs by their specs. At least within manufacturers that is. The three main specs that you will want to look at are clock speed (usually measured in gigahertz or GHz) number of cores, and socket type. There are other specs that you will see such as L2/L3 cache, TDP (Thermal Power Design), and FSB (Front Side Bus) speed. Possibly the most important spec (or at least the spec that you will want to make absolute sure about) is the socket type. You MUST get a CPU with the EXACT same socket type as your motherboard. Usually this is done by choosing the CPU that you want, and choosing a motherboard that is compatible, but if you are, say upgrading from a last generation CPU to a newer CPU, you have to make 100% sure that the CPU that you are getting is compatible with your motherboard. If your CPU and motherboard have different sockets, there is no way to make them work together. If you really want a CPU that is incompatible with your motherboard, you will have to buy a new motherboard that is compatible. Otherwise, you will need to get a CPU that has the correct socket type. 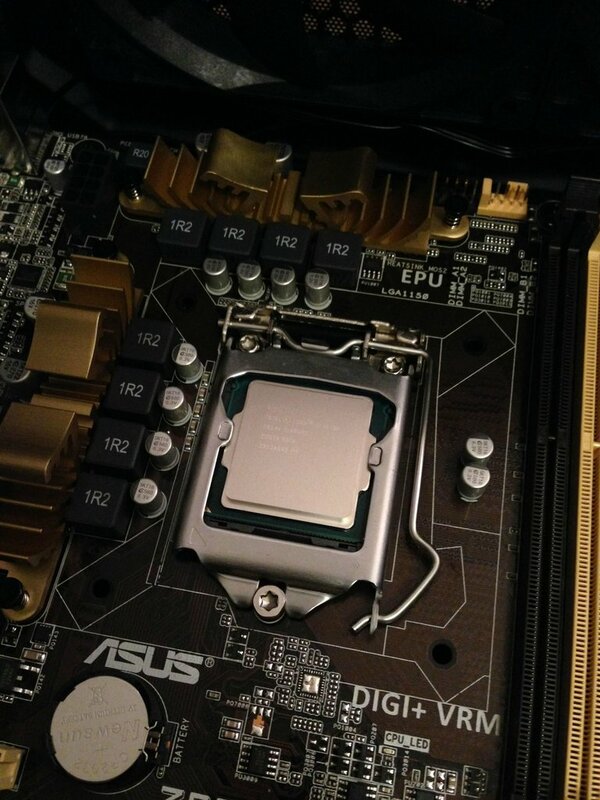 An example of an Intel Core i5 4670k in the LGA 1150 socket. The second most important specs are the clock speed and the number of cores. The clock speed is essentially how fast your processor can perform an operation, and the number of cores is how many operations your CPU can perform at one time. Like I said earlier, you will want to get a CPU with a higher number of cores if you are doing a lot of editing, or using other applications that utilize many CPU cores. On the matter of clock speed: if you have a processor with a higher clock speed, and it is within the same manufacturer and generation, it will be faster in single-core computation time. This means that in most applications, it will be faster. However, if you are using a program such as Adobe Photoshop or Premiere, both of which (as well as many other editing programs) can utilize a large number of CPU cores, you will see a huge performance increase going from a quad core to a higher core CPU, such as an AMD 6- ot 8- core processor, or an Intel hyperthreaded quad core CPU. You cannot easily compare cores and clock speed between manufacturers. For example, in processes that cannot utilize more than 4 cores (most processes) the 3.4GHz quad-core Intel Core i5 4760K will outperform the 4.0GHz octa-core AMD FX-8350 (although this difference is not very substantial). This may be surprising to some, but remember that Intel and AMD build their CPUs completely differently, and Intel’s design seems to be more efficient. Keep in mind though, that Intel CPUs are always going to be more expensive if you are looking for the same performance, so if an AMD CPU covers your performance needs, then your best bet will be to get that CPU, and put whatever money may be left over in your budget towards another part in your rig. Some of the not so important specs that you will see are L2/L3 cache, TDP and FSB speed. L3 cache is basically a small amount of memory within your processor that is much faster than RAM. It is used essentially in the same way as RAM, and is basically a means of storing what the processor will do next. FSB, or Front Side Bus, speed is how fast your CPU will be able to communicate with all the other components in your computer. TDP, or Thermal Power Design, is how much power your CPU will require to run. You will need to take this into account when deciding which power supply you will be purchasing, as it will contribute to the total number of Watts that your computer will need. Decide how much money you will want to spend, along with how much processing power you will need. Compare and contrast different CPUs, and determine which one is the best for your system, based on what I have outlined here. I suggest you also do some research of your own as well, as there is a huge amount of information out there. There are often other blogs or forums that discuss the differences between specific CPUs that you will be able to find if you are stuck between two processors and can’t decide which to buy. Check back next time for another post in this series where I will be discussing the different types of motherboards and what to look for.